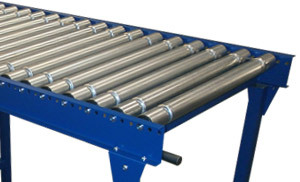 Fastrax construct and deliver a comprehensive range of gravity roller conveyors manufactured from mild steel or stainless steel and can be made using mild steel, stainless steel or PVC rollers , from 20mm to 63mm diameter. 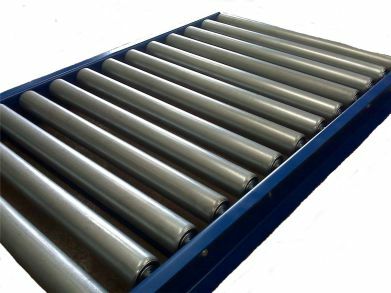 Our conveyors and components are used throughout the UK and Europe and we offer quick deliveries and competitive pricing for all your conveyor requirements. Fastrax gravity roller conveyors are are highly reliable and low-cost addition to any production, process or packing line, with their virtually maintenance free operation they are ideal for the changing needs of your business. Our medium duty gravity roller conveyors have been proven to the highest standards within the parcel packing and distribution industries. Fastrax pallet conveyors. 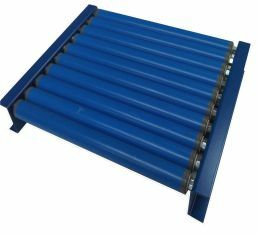 All pallet conveyor products from Fastrax are designed with maintenance in mind and are manufactured to be robust and reliable. 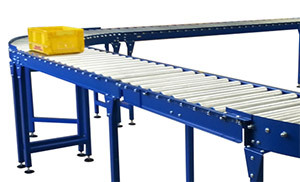 These conveyors are designed for the free running of pallets and provide a low cost method of pallet transportation. – Manufactured from mild steel or stainless steel.